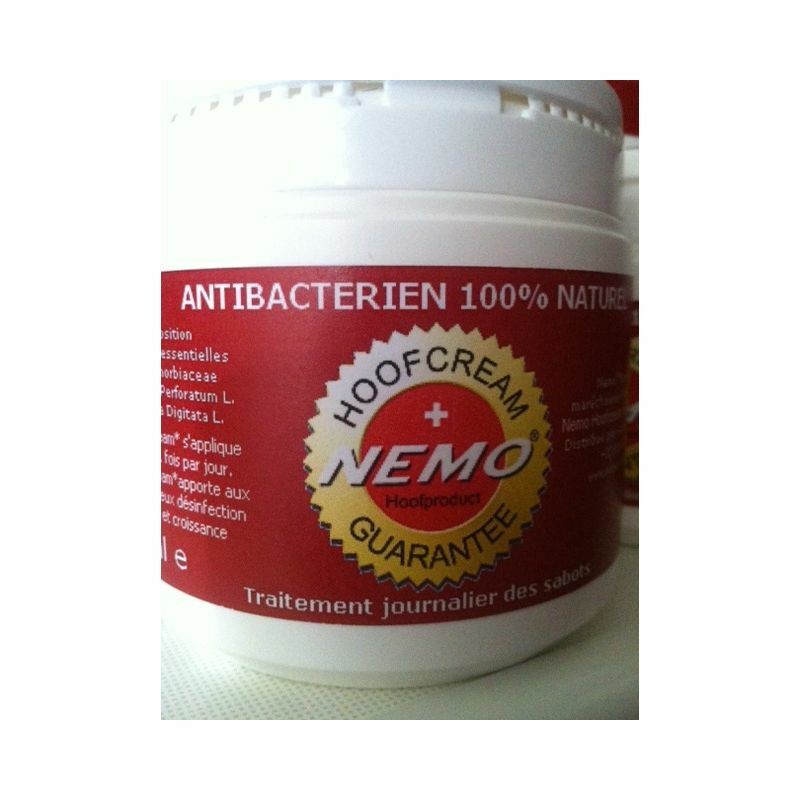 NEMO HOOF CREAM is : 100% natural. Totally natural, HOOF CREAM was developed in partnership with the technologies of human cosmetology. The assembly of components extracted from direct therapeutic and medicinal plants. The alliance of the three fundamental principles of HOOF CREAM provide exceptional results in daily hoof care. 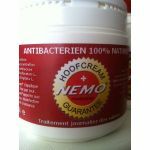 Daily maintenance of the hoof, feeds the keratin hoof, and provides antibacterial prevention. Instructions for use : HOOF CREAM is applied by brush on the hoof walls, the glomes, fork, sole. Composition : Aloe vera, hypericum perforatum, oil essential, tea tree.